This month Dr. George A. Pruitt is featured. Dr. Pruitt is a proud Union alumnus and former UI&U Board of Trustee member. He retires at the end of 2017 after serving as president of Thomas Edison State University for 35 years. He is the among the longest-serving public university presidents in the nation and was identified as one of the country’s most effective college presidents in a study of presidential leadership funded by the Exxon Education Foundation. Dr. Pruitt has served five secretaries of education under three presidents during his tenure as a member of the National Advisory Committee on Institutional Quality and Integrity, which advises the U.S. Secretary of Education on the recognition of accrediting agencies. He is the recipient of five honorary degrees, in addition to numerous awards, honors and commendations, and has consulted widely within the higher education community, as well as in business and government. In the Q&A below, Dr. Pruitt shares his leadership insights. A. I’ve never seen a definition that defines leadership in the right way. You know leadership when you see it. Leadership is a vision and direction and others buy in to it. Many people have vision but lack the capacity to execute to make things happen to change. A. I was the first student society black president at Illinois State University. I issued nonnegotiable demands and the president sent two people to negotiate and that turned into collaboration. That was my first foray into leadership. A. I have several. My father, my uncle, Abraham Lincoln, Crazy Horse, Malcolm X, and Gandhi. They were principled and the cause was not about them. A. No point in doing well that which should not be done at all. A. I have found myself at the front of line without wanting to be there. 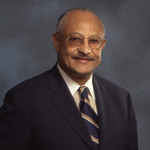 Dr. George A. Pruitt, has served as president of Thomas Edison State University since 1982. He retires at the end of December 2017. He is the among the longest-serving public university presidents in the nation and was identified as one of the country’s most effective college presidents in a study of presidential leadership funded by the Exxon Education Foundation. Prior to his tenure at Thomas Edison State University, he served in executive leadership positions at Illinois State University, Towson State University, Morgan State University, Tennessee State University, and the Council for Adult and Experiential Learning. He is past chairman and a member of the Middle States Commission on Higher Education, and past chairman and a member of the New Jersey Presidents’ Council. He is the former chairman of the board of trustees for the Council for Adult and Experiential Learning; vice chair, National Commission on Higher Education Attainment; member and chairman, board of trustees of The Union Institute & University; past member of the board of directors of the American Council on Education and of the American Association of State Colleges and Universities; past member, board of trustees, Rider University; and former advisor, Kellogg National Fellowship Program, W.K. Kellogg Foundation. He is a member of the boards of directors of the Council for Higher Education Accreditation and the New Jersey Association of State Colleges and Universities. Dr. Pruitt is past chairman and a longtime member of the board of directors of SEEDCO (Structured Employment Economic Development Corporation) and the MIDJersey Chamber of Commerce. He is a former member of the boards of directors of the New Jersey State Planning Commission, The Trenton Savings Bank, Capital City Partnership and of Sun National Bank, and currently serves as a member of the board of directors of Choose New Jersey, Inc., and of Greater Trenton, Inc. He has an adult daughter, Shayla. He and his wife, Pamela, reside in Lawrenceville, New Jersey. Choose your leadership program today from the Bachelor of Science program with a major in Organizational Leadership, Master of Science in Organizational Leadership, Master of Science in Healthcare Leadership degree, or Doctoral Ethical & Creative Leadership major.